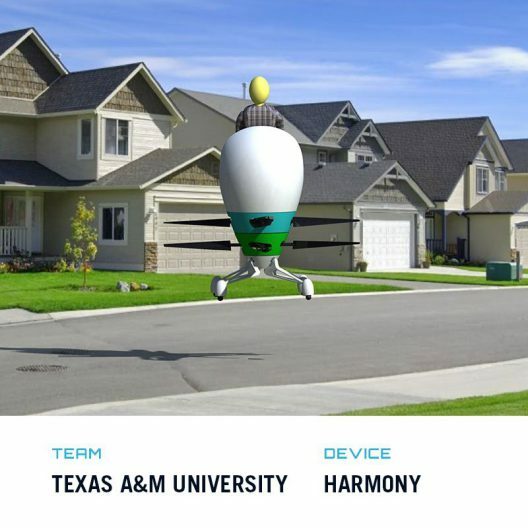 Boeing just announced the ten winners of Phase I in its GoFly competition, in which entrants design, build and fly a “personal flying device.” As Boeing explains, contest rules are designed to enable entrants “To foster the development of safe, quiet, ultra-compact, near-VTOL personal flying devices capable of flying twenty miles while carrying a single person.” The list of partners and co-sponsors is impressive and includes virtually all major American aviation advocacy groups. 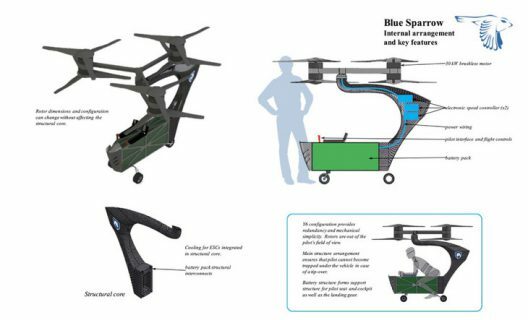 As the Green Flight Challenge demonstrated seven years ago, prize money encourages a grand series of investments by individuals in hopes of winning a prize. In this case, 3,000 entries by 725 teams from 95 countries presented drawings and documents describing their proposed PFD, with a select 10 advancing to Phase II, which will require a demonstration of the proposed machine’s ability to perform as promised. 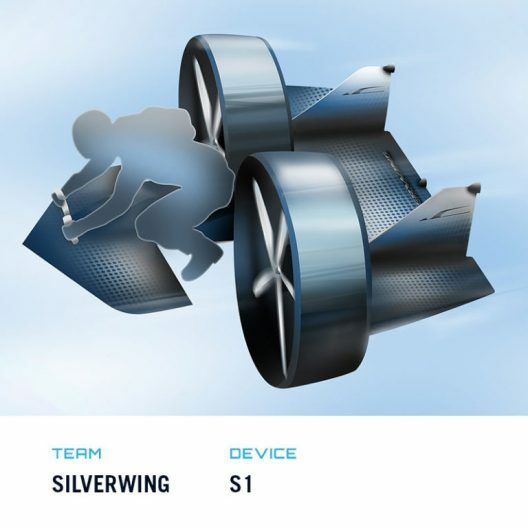 One of the promising features of this phase is contestants’ access to an international group of experts in aircraft design, structure, power, safety and other fields. Boeing explains, “Experts engage with innovators and share their insights in two different ways, as Mentors or Masters. Mentors work directly with innovators in their respective areas of expertise, providing tailored advice on projects and progress. Masters host monthly online lectures, offering teams around the world opportunities for learning and discussion. The following Master Lecture provides a detailed overview of the rules, showing that contest officials have considered all or most of the aspects of the design phase. Check out YouTube’s GoFly Master Lecture list. It’s an impressive range of experts presenting talks on all aspects of the competition. But Wait! There’s Still Time to Jump In! For those of you who are throwing in the towel because you missed out on Phase I, you can enter in Phase II, a ruling that helps increase someone’s chance of winning and ensures a good number of potential finalists. 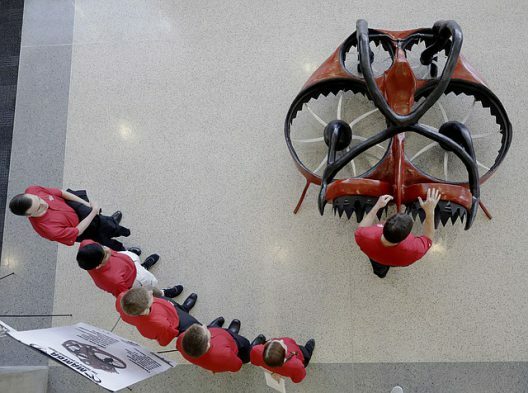 Jack Langelaan, Associate Professor of Aeronautical Engineering at Penn State, explains the team’s entry. 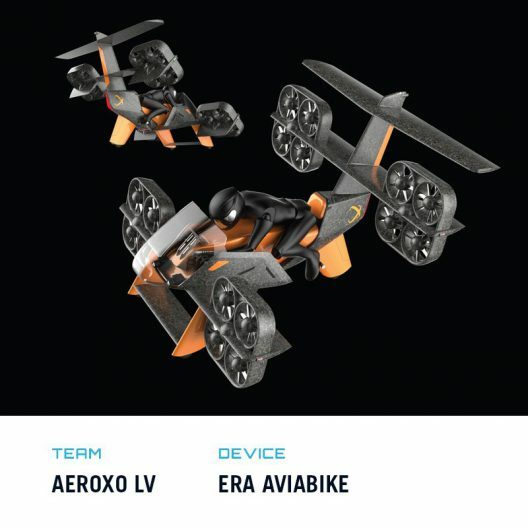 “We entered the competition because this was a very interesting and unique aircraft design project, but also because academically, it would be a great opportunity for the students in our aircraft design class and for our graduate students. We’ve reached a point where improvements in batteries, electric motors and electronic speed controllers have enabled new aircraft configurations. We’re excited to begin Phase II.” (Incidentally, Langelaan led the winning team in 2011’s Green Flight Challenge. A canard configuration with a motorcycle-like position for the rider, the S1 is powered by two electric motors with ducted rotors. The aircraft makes a 90 degree transition from vertical take-off to horizontal cruise flight. 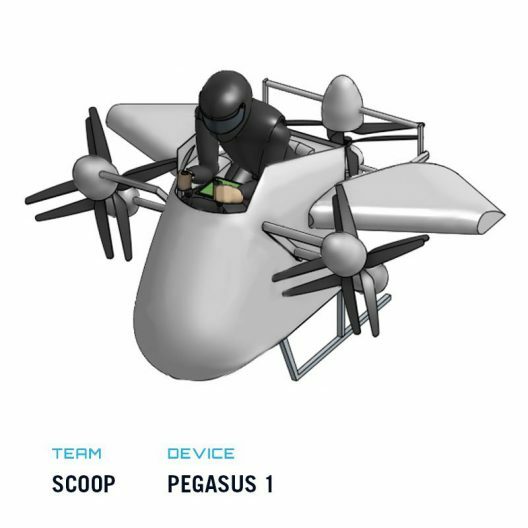 Not to join the chorus of doubters and hecklers, your editor is bothered by the proximity of the rider’s hindquarters to the rotor blades – especially when one considers this will take off and land with the rider facing straight up. Tetra’s description, as that of Vantage, is terse. “The teTra 3 is not only efficient enough, but also stylish enough to meet commercial requirement.” The team, though, has a certified project manager and members from Honda, a software company and a major robotics firm. Harmony is a high-TRL [technology readiness level] compact rotorcraft designed to minimize noise and maximize efficiency, safety, reliability, and flight experience. Comments abound about the pilot’s exposed position and vulnerability if the machine turns into a giant Yard Dart. 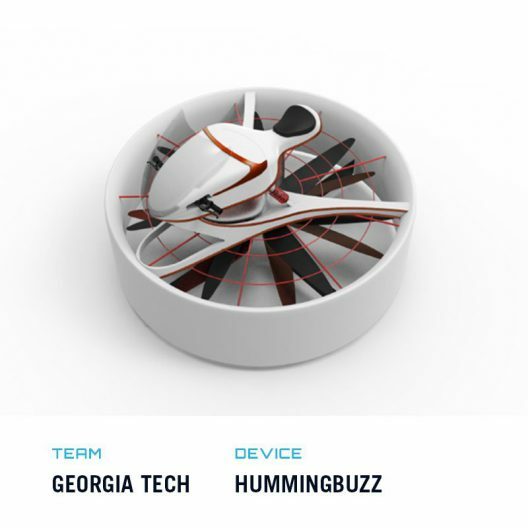 The contra-rotating propellers are large enough to reduce noise, perhaps, depending on rotational speed. As with most teams, Harmony relies on a multi-discipline group to make it a viable candidate. 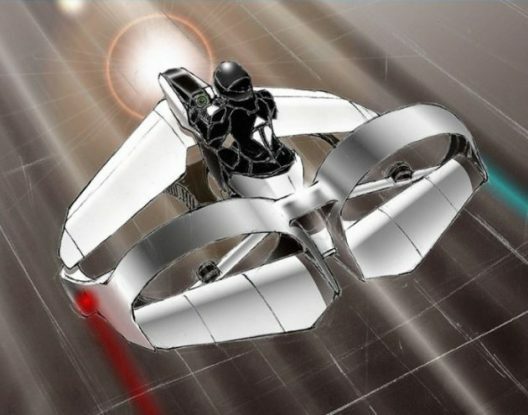 FlyKart 2 is a single-seat, open-cockpit, 10-rotor, ducted fan, electrically-powered, VTOL aircraft. Trek has flown FlyKart 1, and number 2 is described by its designers as. 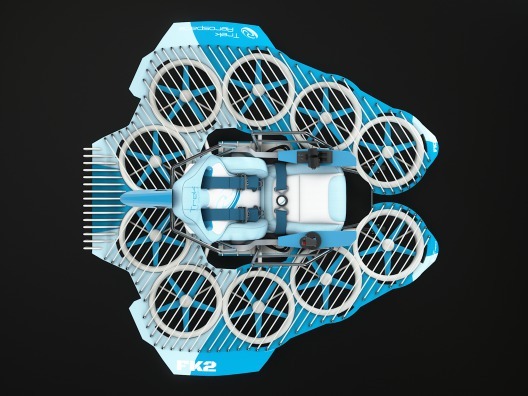 “A new and improved version of our revolutionary FK1, it has ten of our ducted propellers and is custom designed to meet the challenges’ specifications.” It’s 9.6 kilowatt-hour battery will allow FK2 to cruise at 45 knots (51.75 mph) for 30 plus minutes. Its screened propellers will help protect pilots and passersby. Engadget stopped at the headline, giving a short, but restrained bit of copy to the news. The Los Angeles Times took aim at Boeing’s supposed intent and seems to premise an ostensibly disappointing outcome. 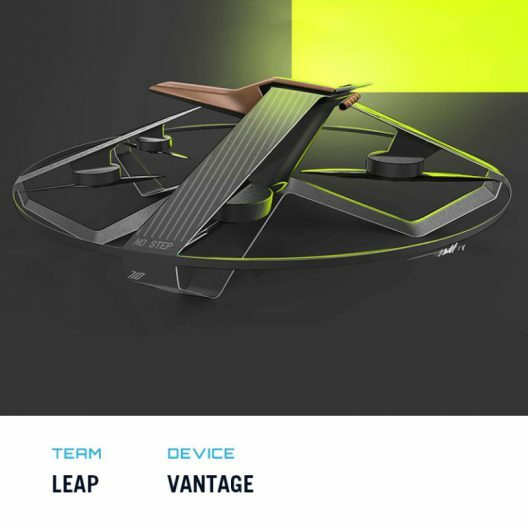 Engadget looks at the various hurdles still to be leaped. “But there could still be social hurdles, like noise. Prize criteria specify that loudness, from 50 feet away, not exceed 85 decibels. That’s about as loud as a diesel truck going by at the same distance and similar speed. Lauren Schumacher estimates that Mamba will put out only 67 dB, about the sound of a noisy dishwasher. Would that satisfy neighbors? “Cities are also struggling with congestion from ever-more motorized devices, including electric scooters and skateboards. Studies show that car services like Lyft and Uber may ultimately put more vehicles on the road. Commercial drone flights are also on the rise in urban areas, thanks to new business-friendly policies from the FAA. And flying cars are coming. Uber wants to start tests in 2020 and commercial service by 2023.